There’s no substitute for picking your own fresh fruit, and our extraordinary orchard has an extensive variety for the entire season you won’t find anywhere else. Make memories picking your own apples enjoy admission to our Farm Park. From barnyard animals and wagon rides to mazes and trains, we ensure you a day packed with fun, as we offer something for everyone to enjoy. 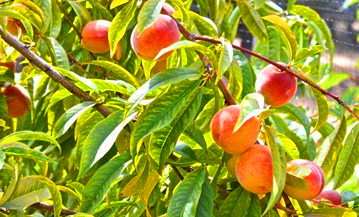 When it comes to choosing fresh fruit, folks of all ages can experience the fun of “pick-your-own” in our orchard. See what the best picking dates are for your favorite varieties of apples, peaches, pears, and pumpkins, via our picking calendar. Learn everything you need to know about both apples and peaches — from picking information and variety types, to storing information and recipes. We believe that it is our duty and responsibility to provide your family and ours with the highest quality of healthy, wholesome produce; while also caring for our environment, wildlife and community with responsible pest management solutions. 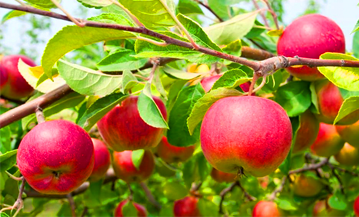 Apple Holler is a farm that uses IPM, which is a reliable method of farming that controls insects, pests and diseases, while protecting human health and the environment. In addition to a memorable pick your own apples experience, comes admission to our entertaining Farm Park. 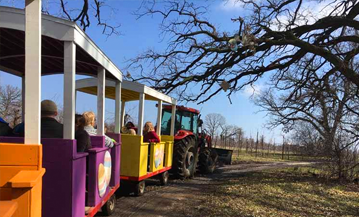 From barnyard animals and wagon rides to mazes and trains, we ensure you a day packed with fun, as we offer something for everyone to enjoy. 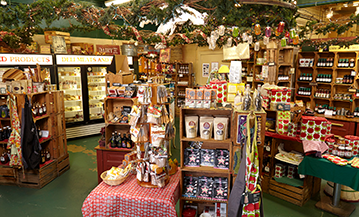 Before you leave, stop by the Country Gift Shop and Bakery for unique gifts and décor, children’s toys, soaps and lotions, Door County Wisconsin Wines, fresh baked apple goods and more. We have put together a wonderful collection of recipes for you to try, whether you are looking to make a meal for breakfast, lunch or dinner or just a healthy snack.